Read Write Inc Phonics is a proven synthetic phonics programme that ensures early success in reading, writing and spelling. It includes Speed Sound Cards, Word Cards, Ditty Photocopy Masters, Ditty Books, Storybooks, Non-fiction, Interactive Stories and Writing books. It is supported by teacher resources and a full training package to ensure its easy implementation. This single pack of large A4 Speed Sound cards is ideal for teaching larger groups or whole classes. 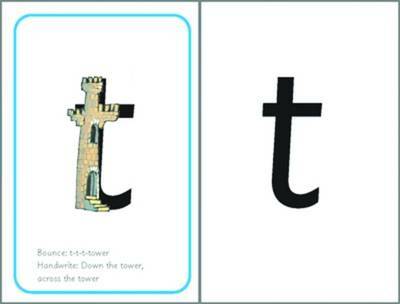 The Set 1 letter sounds include the following 31 letters and letter-groups: m a s d t I n p g o c k u b f e l h sh r j v y w th z chq u x ng nk. Each card has a picture on one side merged with its initial letter to teach the mnemonic. Notes are included to indicate which letter sounds and bounce sounds, and which are stretch sounds. There are also instructions on how to hand-write the letter. The back of each card shows the plain letter (or letter group).